Collecting cold-water species for the Woods Hole Science Aquarium is always a challenge. It’s not that they are rare, it’s that they are hard to keep alive from capture to quarantine for display. The crew of the NEFSC small research vessel Gloria Michelle were about to do a short cruise, beginning field testing of newly designed trawl doors for the upcoming shrimp survey. When I got a chance to tag along to test a kind of portable live well, I was in. The first day of door testing started around 0630. Several tows were performed at 150’ — we were near Stellwagen Bank…I could see Boston. The next day we were towing at 250’ on Stellwagen. 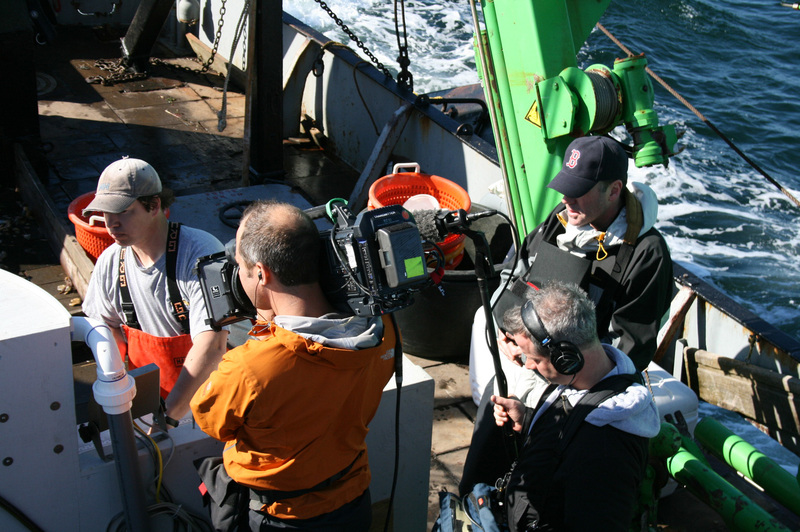 The measurements for the spread were so consistent we were able to call the trip a success and head back to Woods Hole. While this was going on, I was testing my gear as well. The Gloria Michelle does not have a live well, so my few days (and first time!) 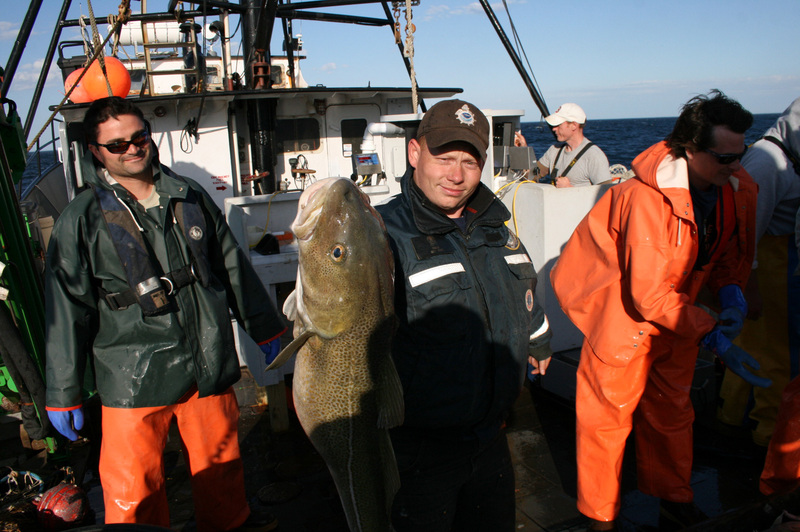 at sea were used to find the best way to collect and keep the fish wanted alive. I brought two coolers, a number of ice packs, a dissolved oxygen meter, an oxygen tank and several collection bottles for water-quality testing back at the aquarium’s lab. There were many failures (deaths!) and some success, as expected but there were also lessons learned. I have already figured out some ways to make the next trip more successful. In the end, I returned with several species of invertebrates and four goosefish, which the aquarium has not displayed in more than ten years. Other lessons learned were that even though you have never been seasick (I do have boating experience) that does not necessarily mean you will never get seasick! Therefore, lesson learned…drink lots of water (because you are working hard); do not eat a whole package of Oreo cookies, and Ziploc bags come in handy for many uses. On our way back to Woods Hole we saw several basking sharks feeding at the surface and humpback whales breaching of in the distance. Overall, my first time at sea on a NOAA vessel was a great experience. I was able to collect animals for the aquarium, my primary mission, but also to meet and work side-by-side with people I have only seen in passing or never at all. I look forward to my next trip! 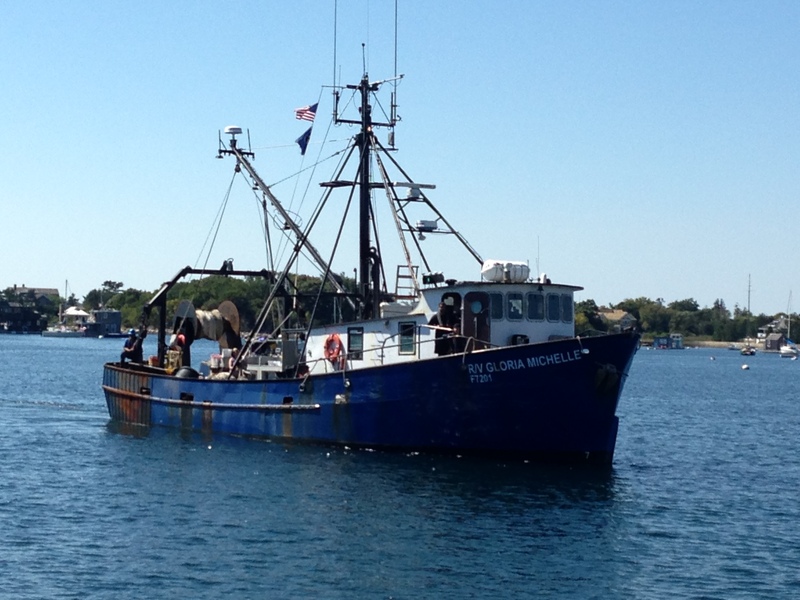 The 72-foot research vessel Gloria Michelle returned to the Woods Hole Laboratory today, completing the fall groundfish survey for the Massachusetts Division of Marine Fisheries. It was also the last survey for Officer in Charge Anna-Liza Villard-Howe, who will be moving to a new NOAA Corps assignment at the end of the year.